my favourite character, is not in this picture.. If there was ever a TV show that left me feeling satisfied at the end of every episode, it was "Our House". It aired Sunday nights on Channel 7, and was the story of Gus Witherspoon, a crusty old man whose daughter-in-law and her three children move in with him after his son dies. There is the predictable clash between generations as Gus tries to set down some rules, but they slowly grow into a family. In virtually every episode someone would get in trouble, and Gus would get them out of it, usually by telling off the bad guy in the end. The cast was a mix of people who would go on to be quite prolific in television, or had already made their mark. Gus Witherspoon was played by Wilford Brimley, and he was awesome. He was this wise man who really would not put up with any garbage. His best friend was Joe Kaplan, played by Gerald S. O'Loughlin, who would always seem to come along with Gus, whether he wanted to or not. I loved the way Gus saved the day so much, the first column I ever had, on my friend Anders Svensson's website "Screaming Midget", was called "Let me tell you something", a tribute to Wilford Brimley. (In fact, Anders believed I would look like Brimley when I got to be that age, and used a cartoon drawing of Brimley to accompany my byline). Brimley often started his tirades with, "Let me tell you something", if memory serves. In fact, I just looked up Wilford Brimley on Wikipedia. There is a part that talks about Brimley and his good friend Robert Duvall working on the movie "Tender Mercies". There is a quote from Brimley confronting director Bruce Beresford, and right in the middle is embedded the phrase, you guessed it: "…let me tell you something…"
Gus' daughter-in-law Jessie Witherspoon was played by Deidre Hall, who played Marlena Evans on "Days Of Our Lives". She actually tried to do both the daytime drama and "Our House" at the same time. Marlena disappeared, and at first her body was never found. Then we discovered she had been kidnapped and held hostage by the evil "Orpheus". Eventually, she did leave "Days" in 1987, in the midst of the run of "Our House". But, as with so many other soap opera stars, she kept rising from the dead like Lazarus, even to this day. It was odd seeing her in something other than "Days Of Our Lives", but not surprising that she returned there once "Our House"ended. Looking back, it is hard to believe that Shannen Doherty pretty much got her start on "Our House". She played the role of the oldest daughter Kris, who was 15 and full of teen angst. She was so young, but this would be a stepping stone for all that success. Up to that point, Chad Allen may have been best known as Tommy Westphall, the autistic son of Dr. Donald Westphal, the conscience of the show, "St. Elsewhere". The show actually ended up being a figment of Tommy's imagination. On "Our House", he played the lone son, David Witherspoon. He would go on to recurring roles in "My Two Dads" and "Dr. Quinn: Medicine Woman". Every hero needs a good sidekick, and Joe Kaplan was perfect for Gus Witherspoon. But actor Gerald S. O'Loughlin was more than just a sidekick. He had quite a prolific career in the 1980s. He appeared in three notable TV movies that were all excellent: "Brothers-in-Law"; "Child's Cry"; and "Under Siege". He also had a recurring role in the series "Automan". However, the role that I remember most was a guest spot in an episode of "Quincy, M.E.". He played a coroner's investigator who was one of the best, and a friend of Quincy's. Then, one day he makes what appears to be a careless blunder and blows a case. It turns out he can't read. He loses his job, but Quincy helps convince him to learn how. The episode ends with him sounding out the word, "leg". I have been a bit critical of Quincy becoming much more heavy-handed and preachy in its final years, but this episode did bring light to an important issue – and Gerald S. O'Loughlin turned in a powerful performance. 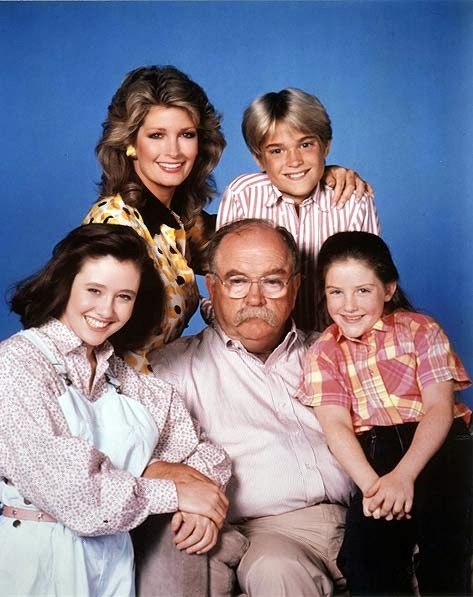 "Our House" was only on the air for two season, from 1986 to 1988, and I only watched the first season. After that, I was off to university where I rarely watched any TV. Yet, for that one season, it was a show I never missed. I either watched it every Sunday night, or taped it. The reason was simple: It always had a satisfying ending. No matter what had happened, whether a store had ripped someone off, one of the kids was bullied at school, or someone got hurt, Gus took matters into his own hands and made things right. Looking back, it was probably pretty formula, but at a time in my life that was full of all kinds of emotions as with all teenagers, it was something that gave me comfort every Sunday night. Alvis Satele: Remembering "Save Our Stamps"